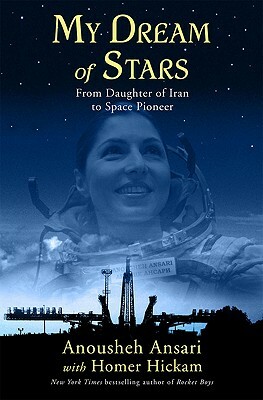 Anousheh Ansari was born in Mashhad, Iran and immigrated to America to eventually become the fourth-ever commercial spaceflight participant and the first Muslim woman to traverse the far reaches of outer space. She is also the founder of the multi-million dollar firm Telecom Technologies and of the Ahoora Foundation. She lives in Dallas, Texas. Homer Hickam is the acclaimed author of "Rocket Boys," which was adapted into the major theatrical release, "October Sky." He is the author of eight other books, including the 1989 military nonfiction bestseller "Torpedo Junction" and the "New York Times "bestseller "Back to the Moon." He lives in Huntsville, Alabama.